Berlin 2012 – building for the future. If things in Education work, they are likely to be repeated, and thus the CCS History department returned once again with a group of Year 11 students over the February half-term. I have left a week or so before writing about our experiences this year, partly of course because you can read my thoughts already from 2011 – http://goo.gl/ZP3wF and – http://goo.gl/93sG9, and partly because a little bit of distance helps consolidate the lessons learned. Firstly, you can see the video of the 2012 trip here – http://youtu.be/OU_o30IGwH0 and I’ll post as and when some extra voice-overs have been added. More importantly, a trip such as this offers so much, apart from the History enrichment that is so obviously the point of the visit. I ask you the reader to watch the video and make your own mind up. Clearly the life skills of working so hard, travelling from one side of Berlin to the other, time-travelling across the decades and dictatorships, and staying balanced on the roller-coaster of emotions generated by stories of the holocaust, cold war and 2 major European conflicts too are worthy of note. My ‘best bit’ without doubt are the unexpected developments improving the experience, for example the upgrading of the ‘Topography of Terror‘ site from a line of wall boards in central Berlin against the foundations of a ruined building to a full blown research space and Museum gallery indoors. The way the underground (like ours in the UK) actually does regenerate over the years; no longer the graffiti filled old crates of yesteryear (which looking at the rest of Berlin is not a habit yet kicked by the populace) but modern, utility trains that do the job in sensible manner. And that’s the point of visiting Berlin; built to be a world metropolis in the 19th century, with sewers and blown-air messaging systems to beat the world at their own game, it then suffered more than any other city from the ravages of 2 world wars and a hostile occupation by the Russian military (OK, the allies were there too), and it took the fall of the wall 23 years ago to build the confidence of Western Germany in the city’s population to provoke the changes and developments now visible. Visiting Berlin is one of the important ways we can show young students that hope can spring eternal; whatever the desperate position the fragility of world economy now places us all in, for jobs, for prosperity and for hope in the future, there’s no doubt that the physical renewal in Berlin can inspire us all. That’s the point too of making films that capture the moments, however amateurishly that might be. Younger boys and girls in the school do look to the future, are optimistic about their life chances and the way ahead, and express that clearly to us, their teachers in no small measure. “I can’t wait until I get to go to Berlin” was the chorus that met us during last week, after they had caught up with the ‘broadcast’ on the ‘hub‘. It is a key difference between our educational experience here for our pupils and elsewhere – over the next two weeks, our Art, History and Geography departments are back out on tour, at the great museums in London and elsewhere too, at farms seeing some happy outcomes of the lambing season as well as further afield on a residential weekend looking at environmental issues at Margham Park. My lasting impressions from Berlin 2012 are of the optimism of the Berliners, despite the cold and ice winds from Siberia, there is a great sense of optimism amongst its residents and its ambassadors working with us. As our guide through the Bunkers said, speaking of the current Euro crisis; “We’ve been though so much over the last 60 years, to have created one currency is part of the great project to feel ‘European’ rather than’German’, and we are not going to let a little local difficulty with the Greek economy get in the way.” Well, I do admire their optimism, which is probably helped by the evening pilgrimage we pay to the Blue Man group, in their purpose built theatre in Potsdammer Platz, and we usually coincide with the Berlin Film festival, so the area feels even more glamorous than usual. Anyway, if you don’t know what the Blue Man group do, then sit back and enjoy this little sample from their act – I can feel the anticipation already, and that’s certainly a way to build for the future, by putting a smile on your face. 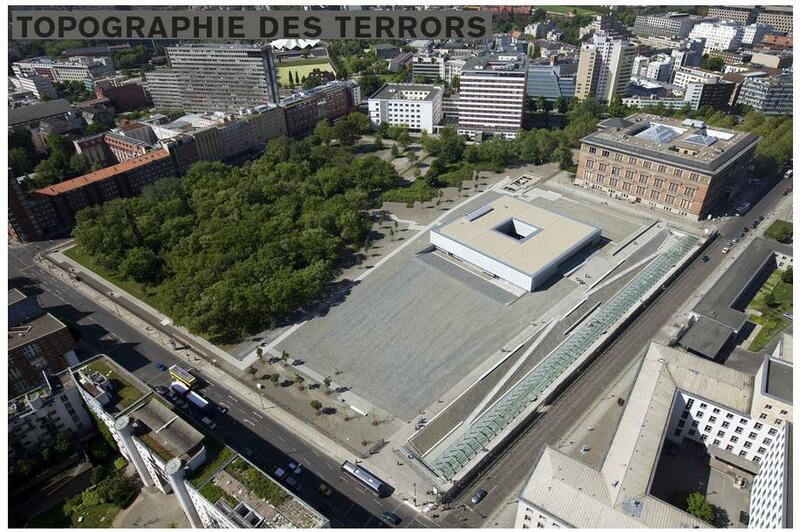 This entry was posted in Uncategorized and tagged politics, topography of terror, world metropolis. Bookmark the permalink. 1 Response to Berlin 2012 – building for the future. An interesting trip! My cousin operates a clinic for infertile couples close to some of the important monuments and not far from Alexanderplatz.